Large municipal lot directly across the street from the restaurant. 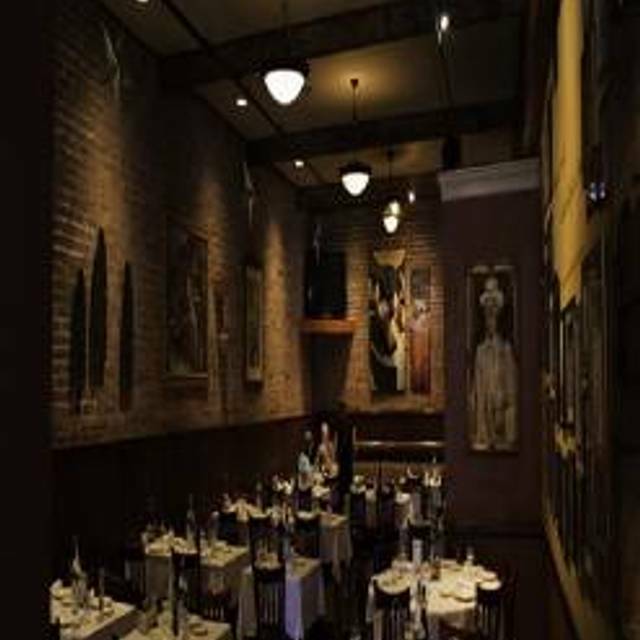 From a romantic anniversary dinner for two to a gala family reunion up to 100, Frank Guido"s Little Italy is the place to share life, laughter and generous portions of traditional Neapolitan cuisine. Choose from one of our specialty packages or let us custom design a party for your group. We will help you plan an occasion you will always remember! Dine while enjoying the Italian traditions of food, friendship, wine & hospitality. Dishes enjoyed for generations inspire our menu. Our specialty is to serve "family style" and our dishes are meant to be shared. So come hungry, and bring friends and family alike. We guarantee you'll feel right at home. Little Italy offers gluten free pizza at no additional charge. Only 12" available. I originally made reservations for 2 but my husband surprised me and changed the reservation to 9. It was my birthday and he invited our daughters & their family. We had a great night and our waiter, believe his name was Andrew was a great waiter. Good personality and very informative about the menu. We have eaten there many times and look forward to going there again soon. Thank you!! Everything was excellent from the food and staff. It was our first time there for dinner. They made us feel that they were so happy to she us. Will be back and will tell others. Thanks for all your hard work. It was a Birthday dinner for my wife. There were several other celebrants and we not only enjoyed great meals and wonderful service but a social event with the other April Fools Day celebrants. good vino at good prices. Delicious chicken cutlet dishes (parmigiana, francese). Nice bread basket, but the sugar-powdered rolls seem to have changed: They used to be more like zeppole - fried dough -- but now seem to be baked pizza dough rolls. And despite being told by the waitstaff for years that the spinach and broccoli sides are sauteed, they actually seem to be steamed or boiled with garlic and oil added after cooking. Still, a very good restaurant with very good food and a friendly staff. We've been going there for years. Wonderful time with my family. Josh our waiter was wonderful! Love Little Italy! Food was Ok. The server Josh was horrible. Took forever to order then never checked on us 1 time in an hr. My wifes gluten free pasta looked horrendous. Like it was left to boil way past what it should be. Manager was great and comped my wifes meal. They looked confused because there was a show, I would think they would be used to it as i am sure its nit the 1st time there was a show while they were serving dinner. Consistently good food and friendly attentive service. Being from Poughkeepsie, I haven’t been to Little Italy in years. We were a group of four and ordered the Zuppa Di Pesce family style. It was delectable. Our server was very good. We liked the dining area ambiance, especially the photos on display. As the designated driver, I appreciated the reserved loading area out in front of the restaurant. We will come back again sooner. This was my second time dining at Frank Guido's. The first time I had dinner there the service time was unacceptable. I gave them a pass as the restaurant was very busy. However, when we went on the 19th of March for another birthday dinner, the service time was even worse. We sat down around 6:15/6:20 and did not leave until 8. We waited about an hour for our meals to come. I was there with my husband the two young children. It was unbelievable how long we had to wait. Once the food came we just packed it all up and left. The only saving grace was our waitress Jessica that was really great and played and talked with our kids and brought them toys. I don't think we will visit this restaurant again. Visited on St. Patrick's Day to celebrate a birthday. The overall noise level is ALWAYS through the roof. Not a quiet place to be had to enjoy a dinner especially if you are dropping almost $100 for two. Food was great. Service was great. Just far too noisy. Totally Awesome! This is our favorite local place for Italian Cuisine. The food is always superb as well as the service, and the portions and prices are very fair. The Guido Family goes out of their way to insure customer satisfaction to a tee. Can't say enough about this place. We've had just about every entree offered and found each and every one of them absolutely delicious. Five Stars all the way! Great classic fare, friendly staff and guests. Huge and fresh portions. Michelle i believe was our server, wonderful! Everything was excellent with just one exception. The drink I ordered was very weak. I should have requested another.... Other than that, everything was excellent. 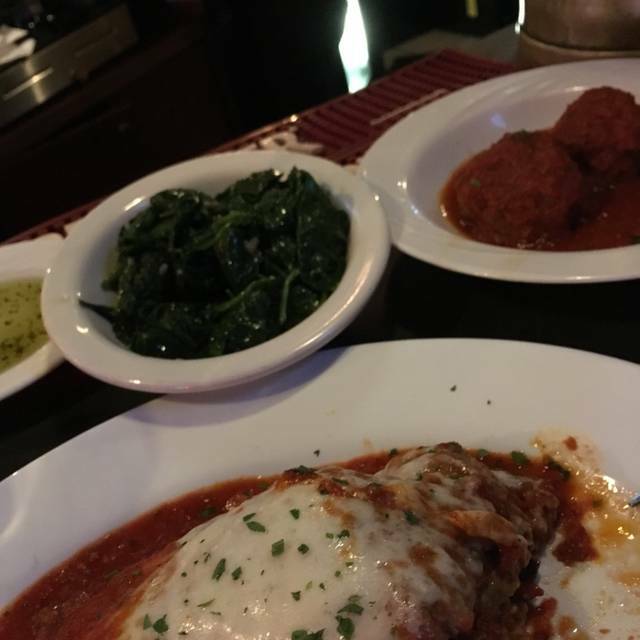 We LOVE Frank Guido's Little Italy! Every time we come we wish it was here in Oceanside where we live. Whenever we come upstate we always make it a point to go there for dinner. The food is a treasure to behold. We savor every mouthful! Love you Frank Guido's! Also, we're big Soprano fans so we love to look at all those great pics, especially of Tony (James Gandolfini). Our meal was top shelf as always. The food is always consistent as well as the service. Great place for good Italian food! Must go to when in the Kingston area. Had a fantastic time at Frank Guido's. The food was excellent (the Chicken Marsala was a bit sweeter than I initially anticipated), the wine was great, and the dessert was excellent as well. The staff was very kind, and greeted me on a first name basis which made me feel great! I will definitely be back the next time I'm in Kingston! Had s reservation for 7pm the place was so crowded there was barely anywhere to stand and our table wasn’t ready at 7. It wasn’t ready until 745. It was very loud like i said it was so crowded people were bumping into everyone it was so loud we couldn’t hear the waiter calling names for tables. Maybe you should get a grip on your reservation policies. If someone makes a reservation they expect a reservation at their time. I understand things happen but don’t make more reservations than you can handle. Food was great service was great. My girlfriend and i have a very nice VALENTINE'S dinner. The food came really fast and was really good. I wish for $6 i would have gotten 2 cannolis they were delish. We made reservations at 5:00 p.m. before a 7:00 p.m. show at UPAC, across the street. They took walk-ins before seating us. As an older couple we seemed to be lost in the system, with kitchen getting out orders for larger parties first. Our entrees didn't show until 6:00 p.m. We had to ask three times to get bill in time to be out by 6:30 p.m. Food was adequate for a theater menu (reduced number of options so that the kitchen can push out the orders quickly). Ambience in the brick building was very good. Excellent location to UPAC. But next time we'll eat elsewhere before the show. Excellent place for dining. Food and service was excellent. Greeted immediately with a smile as soon as we walked in. Received great service. Fantastic, freshly made Italian food. Wait person Josh beyond outstanding. Food was excellent - more than enough. Great friendly place with amazingly attentive staff!! I had zuppa de pesce, best ever. Wife has Chicken Parm that was out of this world. Daughter had shrimp over pasta, and Grandson had pizza. Everyone finished everything, we had a small piece of Chicken parm left over that I enjoyed next day. All of this and my meal was free since it was my birthday. Best Italian food anywhere. Thanks to the Guido family for their generosity!! We had a business meeting over lunch and everyone was very pleased with their meals which made the meeting go very well overall. Guidos is Italian home cooking. Lay back atmosphere. Reminds me of Brooklyn. I love it. Despite reservations and arriving 5 min early, was not seated for 40 minutes. Had to wait in the very crowded bar scene and subject my kids to foul mouthed, drunken people. No apology, no acknowledgement. Just that they were waiting for people to leave. Obviously overbooked and prioritizing volume to quality of service. Was a bit rushed by waitress. Not a great experience. Good Italian food at moderate prices. The ambiance is a step above casual but not where you feel uncomfortable in a nice pair of jeans. Business lunch crowd and happy hour scene. The bread basket assortment is a favorite with my family :) as is the chicken Marsala, chicken parmigiana and eggplant Parmigiana. Close to UPAC. Food was fine, but nothing outstanding. Service was horrible. I mentioned something to the hostess, nicely. Told her it was our first time there. She was upset and said something to the server. Nothing improved. It was also extremely loud. Always love stopping at this place - wish we lived closer. Everyone is so friendly and the food is second to none! Love the sauce!